Liquid Damage – Contaminated Platter. A hard drive is a complex system comprising mechanical, electronic, and magnetic elements. When saving data, the hard drive translates electronic signals into magnetic impulses which are stored as chains of magnetic values (either 0‘s or 1’s). When reading data, the ‘translation’ process is reversed. The printed circuit board (also known as ‘the PCB’ or ‘the controller’) provides power to the hard drive motor and provides all of the functionality that allows the hard drive to effectively manage the magnetic electronic translation process. Any short-circuits caused by momentary liquid contact will usually result in the PCB failing immediately. A PCB issue is usually resolved by finding an exact match ‘donor’ hard drive and removing the PCB from it. The specific parameters of the damaged PCB need to be determined and programmed onto the ‘donor’ PCB, following which the hard drive should respond for data extraction. 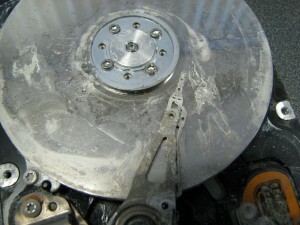 In cases of prolonged contact/submersion in liquid, the liquid can penetrate the hard drive seal and come into prolonged contact with the disk platter surfaces. 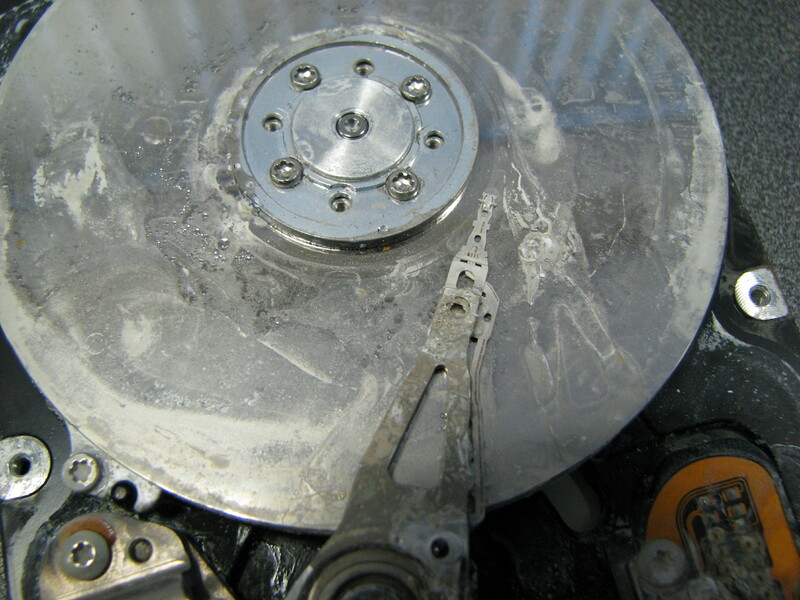 This usually results in the need to fully strip down the hard drive in a cleanroom, restore all platter surfaces to a mirror-like finish and then replace the read-write heads and other internal components which have also become contaminated.